When I first heard the news that Tom Ford was going to release a collection of matte lipsticks, I literally exclaimed in delight. I can’t even, I need help – I know. If you love lipstick like me though, and love matte lips like me, then you will completely understand how excited I was. I still am, it’s all to much for a lipstick lover like myself. 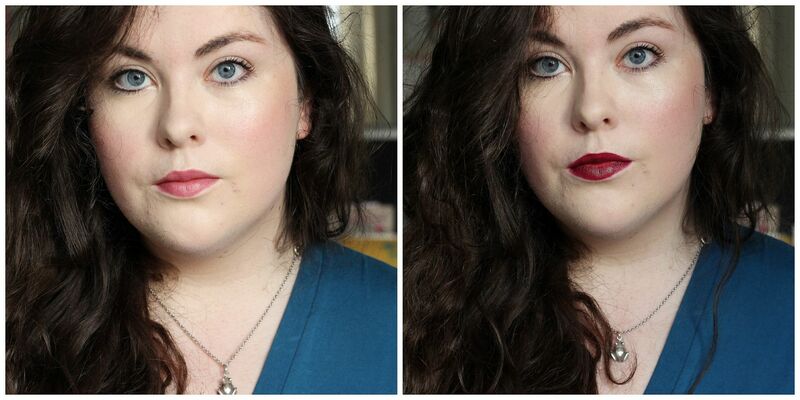 I was so excited because whilst Tom Ford lipsticks are amazing and everything, they are sometimes a tad too creamy for me. I longed for a matte finish, and my makeup prayers were answered. It’s an 8 strong collection of matte shades, all of which don’t look a million miles away from his regular line. So, the shades aren’t anything remarkable but the quality is luckily there. I went for Pussycat and Black Dahlia, two pretty different hues. Pussycat is a soft pink with some mauve tones – nothing too purple, but this cool-toned pink is much more wearable than a cotton candy pink. It’s flattering, it goes nicely with lots of makeup looks. Note to self though, it needs more makeup than in the photo above – I don’t want to look washed out. I’ve been wearing this with gold eyeshadow and a soft pink blush – ugh, too good. If you like soft pinks, pussycat is for you. Something much darker is Black Dahlia. A deep wine red, this shade is so rich and saturated. You could definitely wear this one more sheer, but black dahlia is so dramatic and lush. 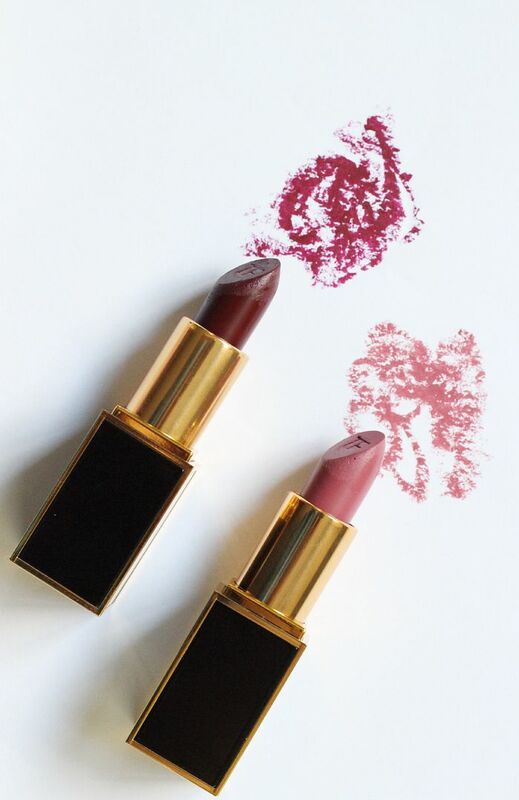 The formula for something so deep and matte is really impressive – it reminds me of the Charlotte Tilbury matte revolution lipsticks, although black dahlia stains the lips and hangs around for the longest time on the lips. I love. 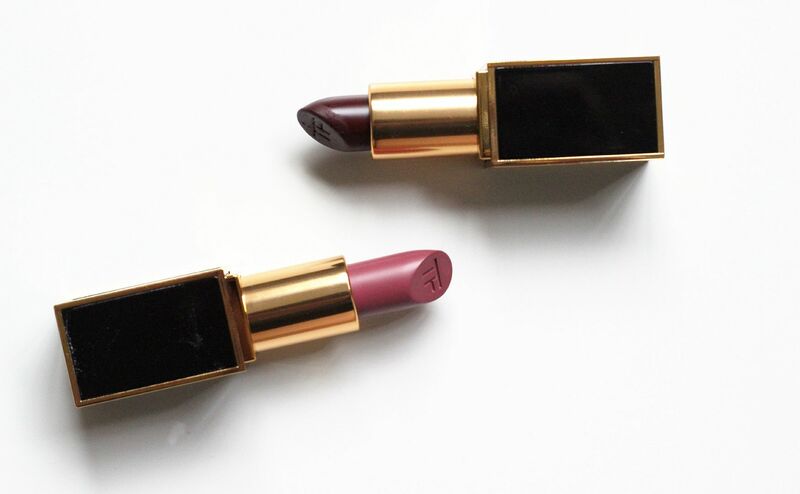 Can you think of anything better than Tom Ford + matte lipsticks?